Jharkhand Governor Droupadi Murmu today said that children are the future of the country and they should get higher education along with better and enough opportunity. RANCHI: Jharkhand Governor Droupadi Murmu today said that children are the future of the country and they should get higher education along with better and enough opportunity. Murmu said it was very sad that those children, who should go to schools for nation building are working in factories, according to an official release. Several youth were being cheated in the name of jobs and falling prey to trafficking, the governor said while speaking at the function to welcome the "Bharat Yatra" march headed by Nobel Peace prize winner Kailash Satyarthi here. Murmu said social awareness was necessary, adding everyone should ponder over how moral values should develop in the people. She compared children akin to the God who "are worshipped in our country". In such a country exploitation of the children is undignified, Murmu said. If the childhood is saved, the country would be saved, she said. A separate release quoting Satyarthi said, "Jharkhand could attain greater socio-economic development if every child in the state is educated and remains safe and healthy. "Children should have freedom to dream and discover a good life for themselves. If parents can’t be the friends of the children and can’t listen to their problems, then they should not be referred to as parents," he said. "In this ‘Bharat Yatra’ we have to improve the condition of the families, otherwise we cannot refer to our country as a fast developing nation. 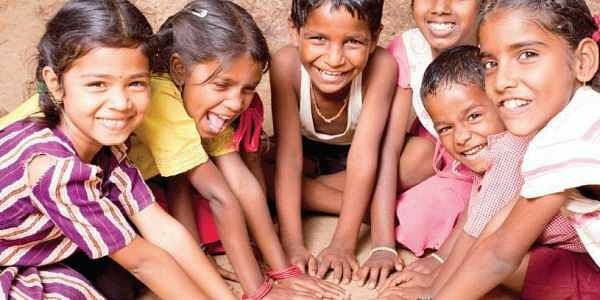 "Surakshit Bachpan is a moral and social responsibility of every Indian in this country. We have to provide our children a safe childhood. Everyone including the society, the government, and the corporate world has to unite to develop and improve the condition of the children," he added. The Bharat Yatra led by Satyarthi reached Ranchi today. Launched on September 11 at Kanyakumari, the 35-day long Yatra will reach Delhi on October 16, the release said.